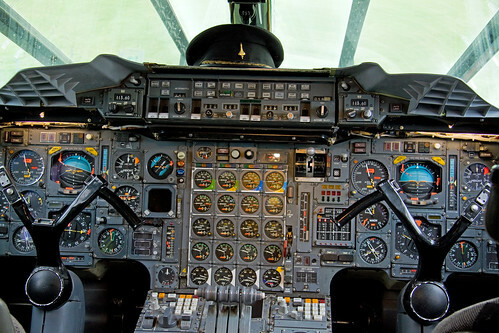 Now, that’s what I call a flight deck. 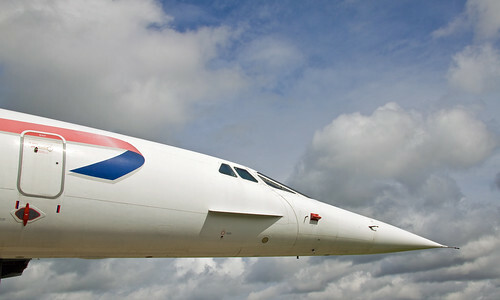 We went to see Concorde at Filton today. I always feel a bit sad when we go over there. The plane is amazing but it doesn’t deserve to be stuck on the ground. It really should be out there doing what it does best, and what nothing on earth can do any more. 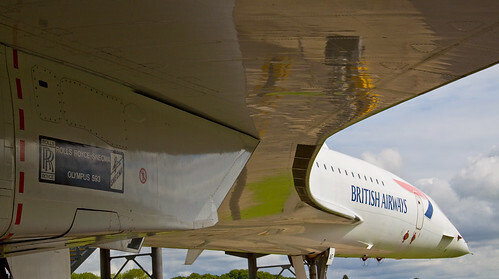 This time the affair was even more poignant because as of later this year the plane will not be open for visitors at all, which is really sad. Anyway, I took the big camera and a selection of lenses and tried to get a few shots. Not surprisingly the team at Bristol is very busy at the moment as people take their last chance to see the plane for a while, but if you can get yourself down there you won’t regret the trip.